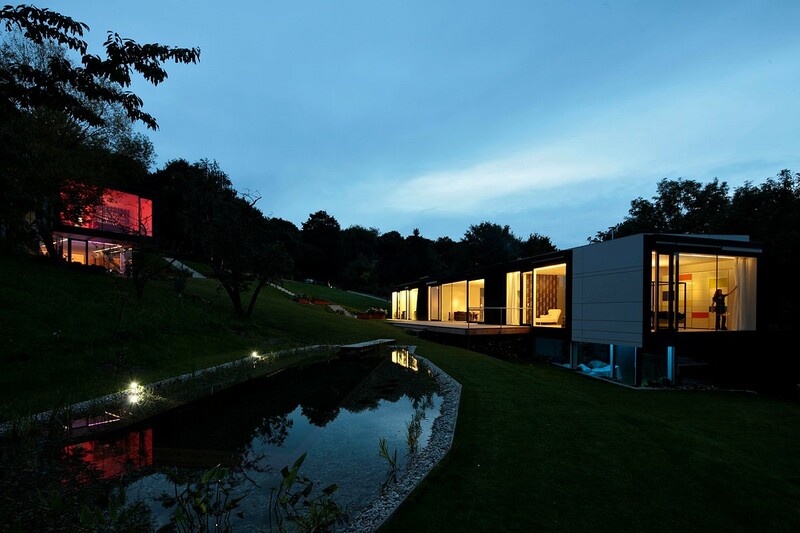 Solar panels can present something of an aesthetic challenge when it comes to house design. We have integrated around 30m2 of photo voltaic panels and 10m2 for heating water onto the building facade and roof. The aesthetic idea was to create what we call energy active architecture. The second stage of our future house project will be to build a battery power storage system as well as expanding the photo voltaic area hopefully with organic solar technology that is cheaper and more environmentally friendly to produce. The question of how to heat the house more efficiently will be solved either with a fuel cell heating system or an effective heat pump. Our aim is to have a carbon free plus energy production. 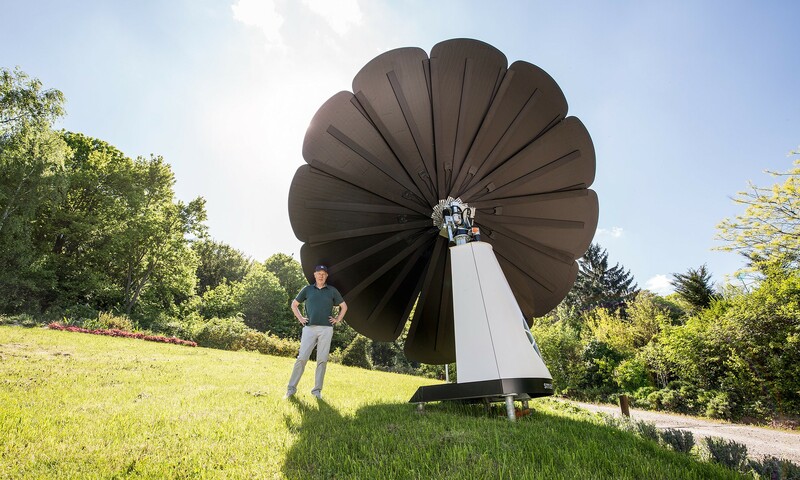 This Smartflower is an innovative, beautiful and effective flower shaped solar system that follows the sun to maximise energy production had to be removed thanks to the public authorities and red tape! What a pity.